Just because it’s Halloween and everyone is talking about the un-dead that does not mean you can’t bring some green life into your spooky decor. 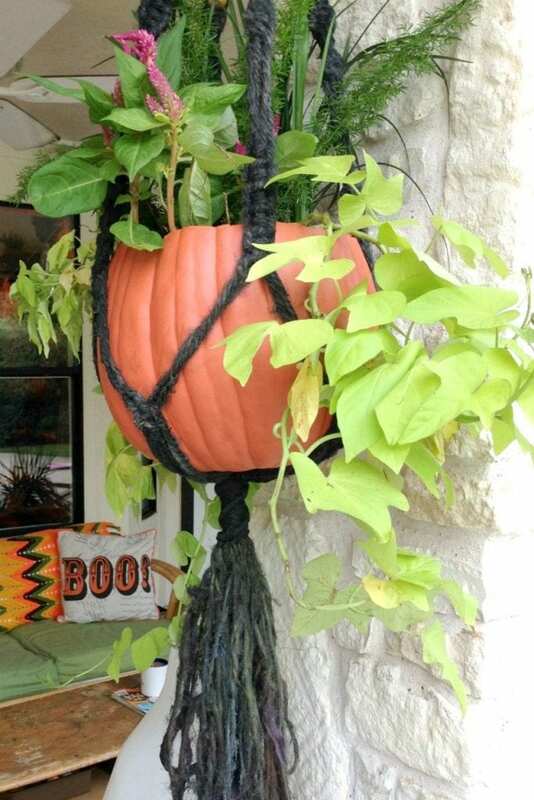 Keep up those summer plant love vibes with these adorable macrame Halloween hanging basket ideas. 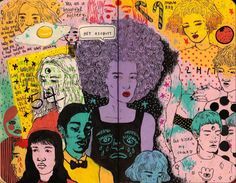 I’ve rounded up a few of my favorites! 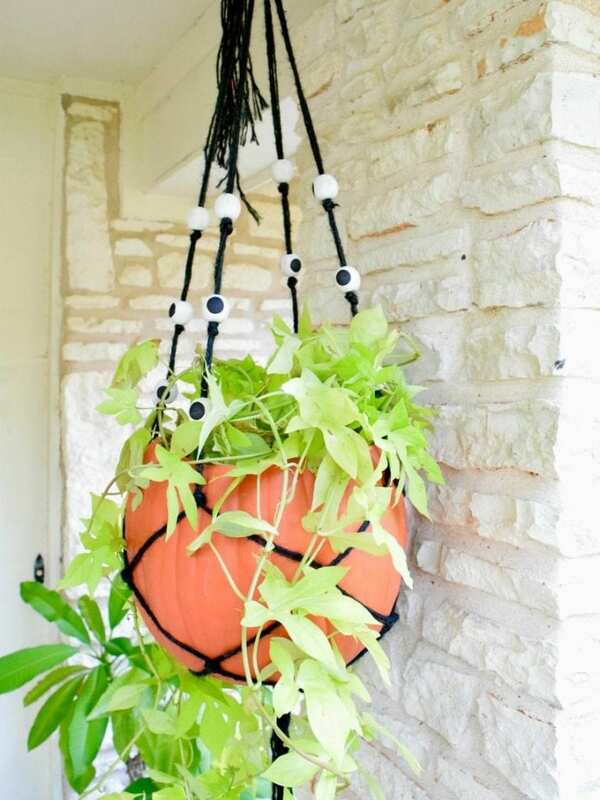 Webbed Hanging Planter – I am smitten as a black kitten with this webbed pumpkin planter by my friend Vickie Howell of The Knit Show. 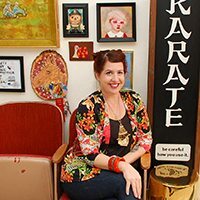 She did this adorable project for Joann (there is even a video). Macrame With Eyeballs Hanging Halloween Planter – This guy was part of a series I did for the DIY Network about Halloween Horticulture. You could skip the beads when you macrame, but when they look like eyeballs why would you? 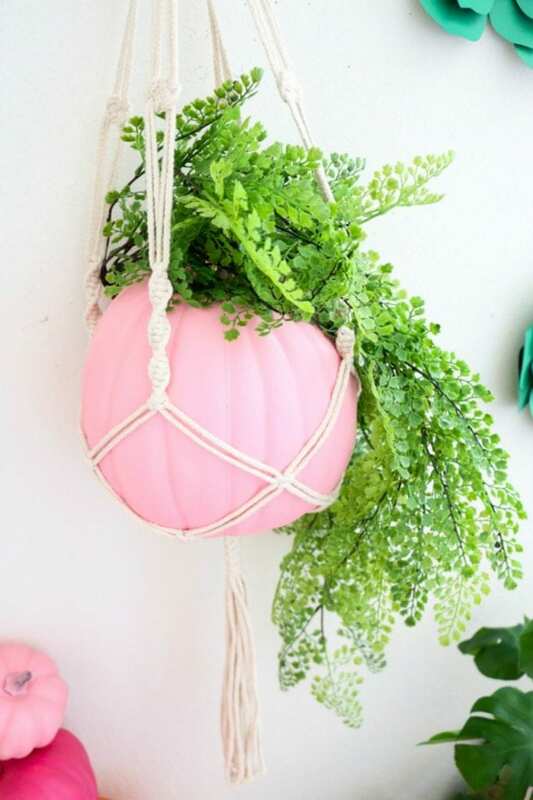 A Pink Macrame Pumpkin Planter – Leave it to my girl Kailo Chic to make her pumpkin pink. Nobody said Halloween colors had to be only orange and black. Go check out all her adorable Halloween DIY ideas. 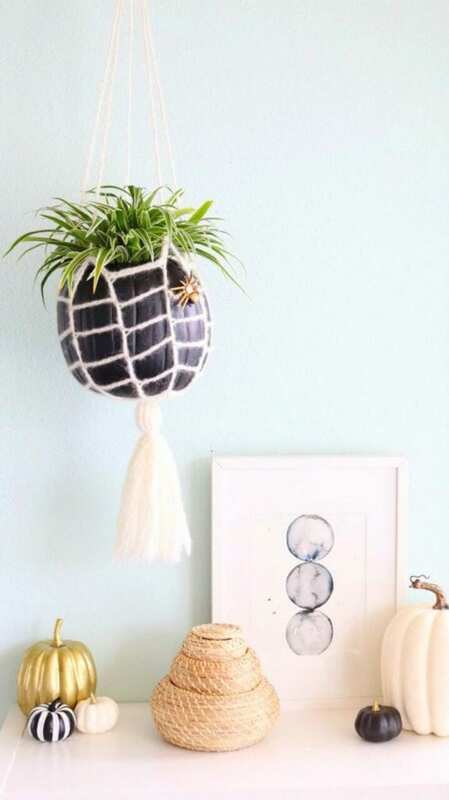 Dyed Jute Macrame Planter – No interest in learning macrame? That’s ok, you don’t have to. Did you know you can easily dye ready made jute hanging basket holders? Just add a pumpkin, I did! 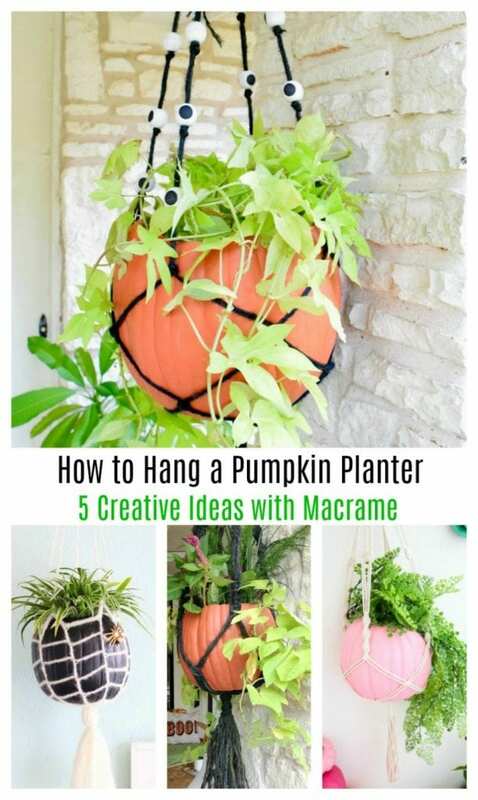 DIY Macrame Hanging… Pumpkins (& Squash) – Nobody said you have to put a plant in your hanging gourds. 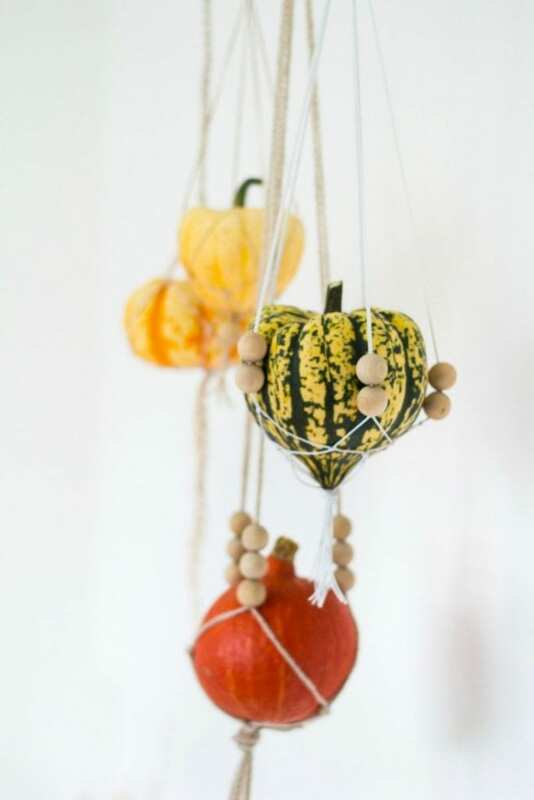 Take a cue from the clever folks at Fall for DIY and just hang solid squash and pumpkins. Plus these will look adorable well Thanksgiving! 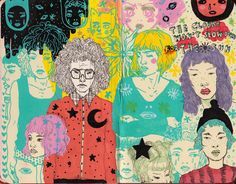 It’s hard to pick a favorite – they are all so cute and clever. 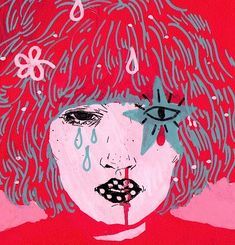 Maybe I’ll make a pink pumpkin hanging in a web with eyeball beads. The best of all the crafty options! 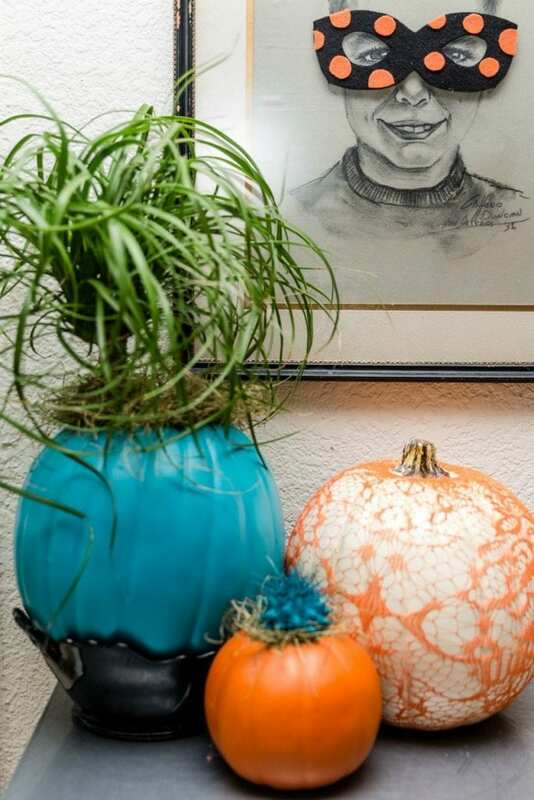 Teal Pumpkin Planter – This cute set up was part of an article I wrote for HGTV called Stylish DIY Ways to Decorate a Teal Pumpkin This Halloween. Oh and I have an article on DIY Network for Making Felt Halloween Masks for Thrift Store Art. Halloween Drip Pots – I like my crafts quick and this one is just that. 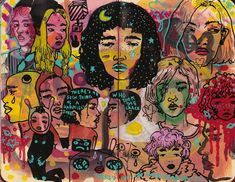 Spill paint, dry, plant, BOOM! 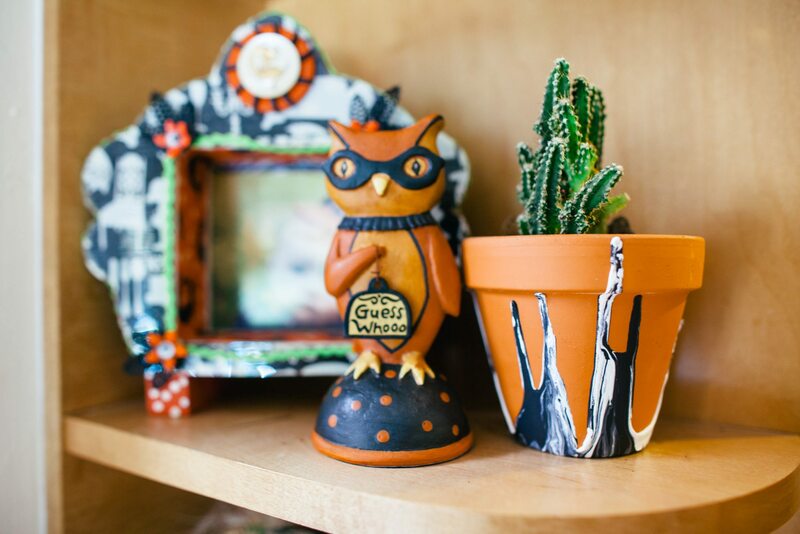 Oh and over on DIY Network I have a non-Halloween How to Make Drip-Paint Pots article. 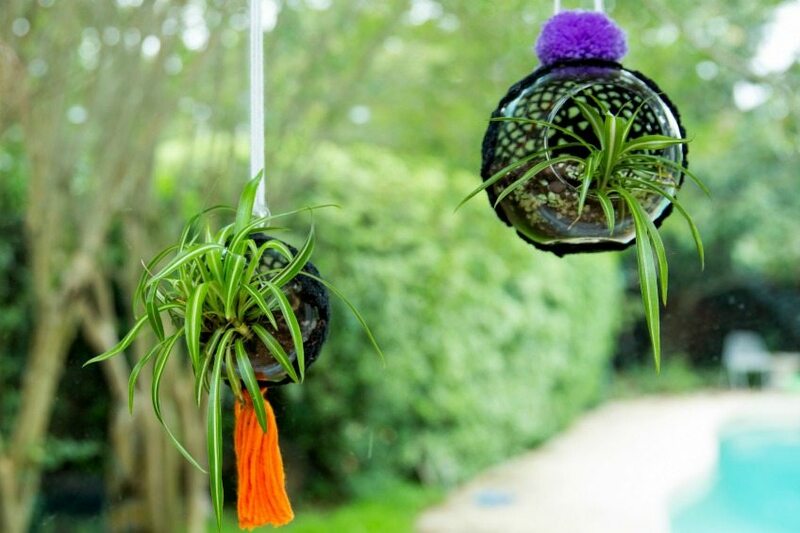 Hanging Halloween Air Plants – These hanging air plants were part of a series I did for the DIY Network called 10 Creative Ways to Use Doilies and Lace for Halloween. Posted October 18, 2017 & filed under Crafts, Halloween, Holidays, Needle Crafts, Plant Crafts.